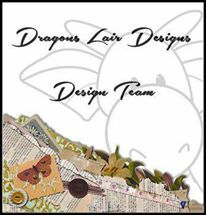 It’s time for another inspiration post from me on the “Dragons Lair Designs Inspiration Blog“. Hopefully I can inspire you with a crafted creation made using two downloads that is available in the Dragons Lair Designs Store. I’ve gone away from cardmaking and scrapbooking this time and decorated a canvas with a prayer, papers and a simple digi-stamp of a loaf of bread. With string attached to the back it is created to hang in a dining room or kitchen. I was tempted to add a lot of other things to it, but everything I put on, just to see, came right off again because it just didn’t look right to me – somehow the words “keep it simple” seemed to apply this time. our food and our joy. 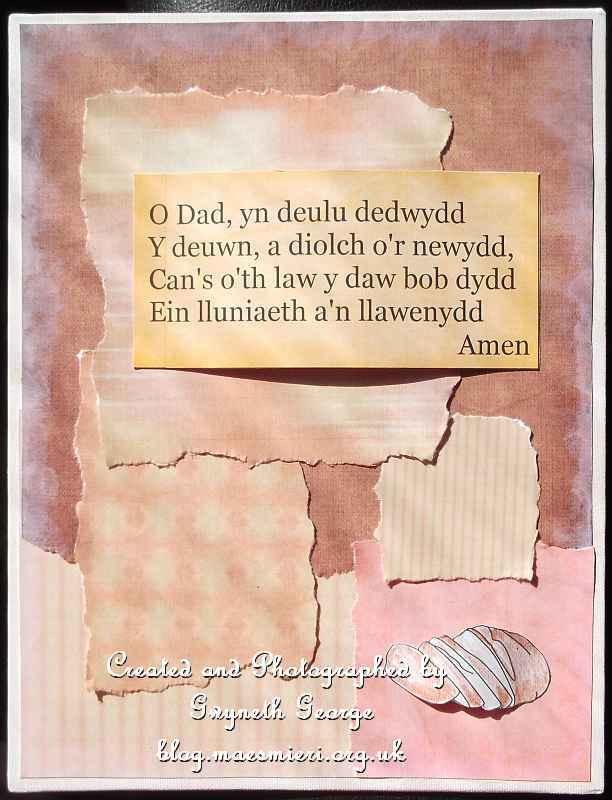 I started by printing out an assortment of the papers at different sizes, as well as printing out the digi-stamp of the sliced rustic loaf at around 2″ in length. 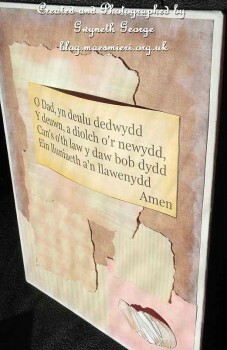 I used a brown watercolour pencil to colour in the digi-stamp and then cut it out. I cut out the panels of the papers and after laying the largest towards the top of my canvas I started playing around with positions of the rest and tore the edges of anything that wasn’t along the outside of the canvas. I used quick grab glue to stick everything onto the canvas, leaving a small white edge of the canvas all the way around. I opened one of the backgrounds in My Craft Studio and re-sized it to the size I wanted before typing the prayer in a layer over the top. This was also printed out and cut. I shaped/bowed both the prayer and the loaf of bread and used the same glue to attach these at their left and right hand sides to the front of the canvas, holding for half a minute until the glue grabbed and held the item with the shape I wanted. I then took a dry paint brush and some white paint and dry brushed very lightly in from the edges all the way around to soften the outside edge of the paper panels. And that is it from me for today. 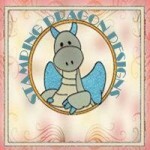 I hope my little creation will inspire you to visit the Stamping Dragon Designs store and have a play with some of the digital downloads available to buy yourself. 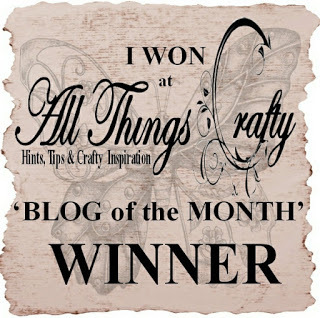 Please keep visiting”The Dragons Den” blog over the next few weeks as you’ll find various “Inspiration by …” posts appear from the other design team members, as well as colouring tutorials and other posts. I’ll be back with more posts for “The Dragons Den” over the coming months as well, so keep an eye out for those too.